I’m sure you’re no stranger to the growing popularity of influencer marketing among brands and marketers today. The significant growth in the number of people showing interest in “influencer marketing” during recent years is proof enough. However, have you ever wondered why? Because people trust the opinions and recommendations of these thought leaders. Some may even call them our modern day celebrities. I like of think of them as subject matter experts in their respective niches. Regardless of what you may think of them, you just can’t deny their effectiveness in marketing. The right influencers can help you boost your reach, exposure, and credibility. In fact, influencer marketing is the secret behind many successful brands on Twitter. Recommendations from influencers are known to increase purchase intent 5.2X when combined with tweets from brands. While most marketers and brands understand the power of influencer marketing, some are still figuring out the best ways to use it. In this post, I’m going to share some of the best practices when it comes to engaging with influencers on Twitter. Let’s take a look. Anyone who has ever tried this knows the insane amount of time and effort it takes to connect with influencers. So it’s important that you invest your time into choosing the right ones. When searching for relevant influencers on Twitter, look for people who tweet about your industry, products, services, or your competitors. Why? Because their audiences are likely to be your target audiences too. I would recommend using Twitter search or platforms like BuzzSumo to find them. For example, if you run a restaurant or cafe, your focus should be around local food bloggers who tweet about what’s new in your city. You can search by popular hashtags such as #foodblogger or #Colorado if you own a business in that state, for example. Do they have a large follower base? How many social shares do they receive? What kind of mentions do they get? And from whom? Have they earned the respect of their followers? The answers to these questions will help you zero in on the right influencers for your business. Remember, choosing wisely will make your marketing campaign a success. However, collaborating with the wrong influencers will be a sheer waste of time and money. Once you have figured out a handful of Twitter influencers, it’s time to reach out to them. The best way to begin is to start on Twitter itself. Follow them, retweet, and comment on the posts they share. This will let them know that you are listening to them. Once they’re aware of your presence and interest in them, you can reach out directly via a message. Explain the reason you’re reaching out, show your appreciation for their work, and ask for some time to discuss further. However, I’d recommend waiting until you’ve developed a relationship with them on Twitter before you reach out. 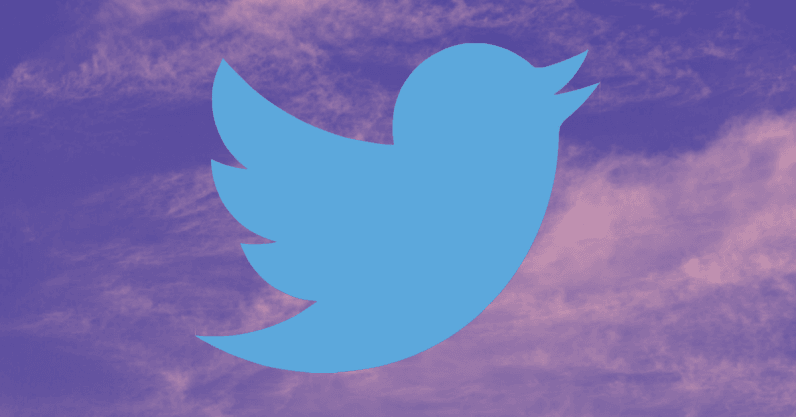 Has a Twitter influencer reached out to you or retweeted your content? Those are the people you definitely shouldn’t ignore. They’re your warm leads. Social listening tools can help you find out accounts that are engaging with your brand. Use them to find any influencers in this list and don’t miss out on any opportunity to connect. You should reply to such mentions or retweets with a thank you note for liking and sharing your content. Start following them, and retweet their posts related to your business, products, or industry. These little interactions could be the beginning of a beneficial relationship with your potential influencers. Once in a while, you should ask influencers on Twitter questions as a means of engaging them. Influencers appreciate it if you respect their knowledge and expertise. Ask questions that are relevant. Don’t ask about something they’ve already covered in their posts. Don’t ask questions just for the heck of it. Make sure they’re meaningful. Focus on the influencer’s comfort zone. Ask questions only once in a while, not too often. Asking relevant questions can be even more engaging than simply retweeting their content. Once you have established a cordial relationship with influencers, discuss your campaign goals, ideas, and creative hashtags you may have thought of. Twitter influencers can prove to be of great help in making your campaigns a success. They can create significant engagement and encourage more and more people to participate. You can tweet that you are working on a campaign and may need the help of influencers. You may even reach out to them directly by sending a message. If you have a good relationship with them, they’re likely to respond. Here is when you can share your idea and pitch your collaboration request. Once you have engaged with influencers and want them to endorse your brand, you need to offer something valuable in return. Work out a compensation model that suits you both. You can offer them to try your product for free and ask them to tweet about their experience. You may also offer them a fixed fee for every piece of content they create and share. How you plan to pay influencers may vary from person to person. It totally depends on what both of you are comfortable with. When you ask influencers to tweet about your product or service, suggest a few possible options. You can email them a few sample tweets which can help them frame their own. Do mention that the tweets are just for help and that they’re free to edit them. Sample tweets can help them understand what you want and ensure that they don’t need to put in too much effort. At the same time, this will also ensure that your message is shared exactly the way you want. Engagement requires continual effort. Once you have fostered a relationship with influencers, don’t just contact them when you have a campaign in mind. In order to truly engage influencers on Twitter, focus on building long-term and meaningful relationships with them. Recommendations work well to sway people, both in the real and the digital world. So, leverage Twitter influencers to boost your brand awareness, build credibility, and engage with potential customers. Do you have some more pointers that can be helpful for influencer marketers and brands? Please feel free to share in the comments below.